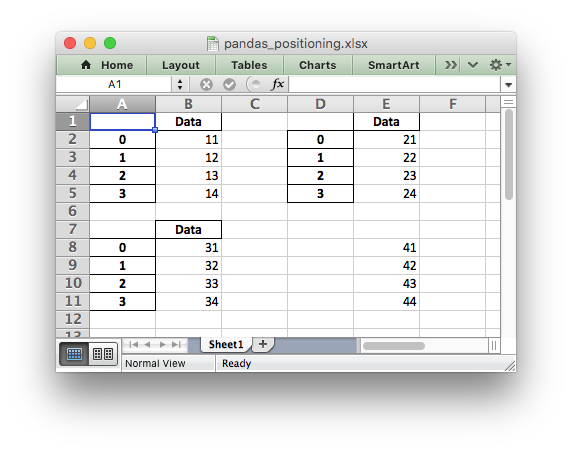 An example of positioning dataframes in a worksheet using Pandas and XlsxWriter. It also demonstrates how to write a dataframe without the header and index. # Create some Pandas dataframes from some data. df1.to_excel(writer, sheet_name='Sheet1')  # Default position, cell A1. # It is also possible to write the dataframe without the header and index.